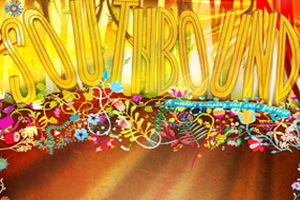 SOUTHBOUND 2011 – Three Full Days, Three Nights Camping, Over 60 acts, One Festival! Three Full Days, Three Nights Camping, Over 60 acts, One Festival! The summer festival season is so close we can taste it. And it tastes delicious! The prime course on this summer festival menu is Southbound , WAs only superb and sustainable music, camping and arts festival. Returning to Busselton from the 1st – 3rd January, and proudly presented by triple j, Southbound is the perfect way to bring in the new year. We are salivating over the line up and are very very excited to bring you this audible feast. So excited, we’re serving up all the juicy acts on one huge announcement platter. From lands far away are those pioneers of the electro-rock movement, Klaxons, bringing us new material, and New Yorkers Interpol, presenting their hotly anticipated 4th album. Joining them, are slow-burning kings, The National, and set to take it up a notch, all with new material to share are The Rapture, Hot Hot Heat and Cold War Kids.